he Delhih high courto n Wednesday ordered a ban on sale of online medicines by e-pharmacists across the country and directed the Centre and the AAP government to immediately implement the order. A bench of Chief Justice Rajendra Menon and Justice V K Rao passed the order while acting on a PIL filed by Delhi-based dermatologist Zaheer Ahmed who complained that lakhs of medicines were being sold on the internet every day without much regulation, posing a huge risk to patients and doctors alike. In the plea filed through advocate Nakul Mohta, Ahmed pointed out that online sale of medicines is not permitted under the Drugs and Cosmetics Act, 1940 and Pharmacy Act, 1948. The petitioner highlighted that even though the Drug Controller General of India in 2015 clearly directed all state drug controllers to protect the interest of public health by restraining such sale online, lakhs of medicines continue to be sold online, often even without prescription. Unable to supervise, the government has failed in its responsibility to protect public health which is its constitution obligation under Article 21, the PIL says. “Unlike common items, drugs are highly potent and its misuse or abuse can have serious consequences on human health, not just for the person consuming it but for humanity at large as some drugs can be addictive, habit forming and harmful to the body. A large number of children/minor or people from uneducated rural background use internet and can be victims of wrong medication while ordering medicines online,” the PIL argues, seeking the court’s intervention. The PIL states that Centre is well aware of the risks involved in sale of medicines on internet since a panel setup by it for this purpose cautioned as late as September this year about risks involved in the online sale of medicines, particularly, prescription, habit-forming and addictive medicines. In September the Union health ministry had come out with draft rules on sale of drugs by e-pharmacies with an aim to regulate online sale of medicines across India and provide patients accessibility to genuine drugs from authentic online portals. 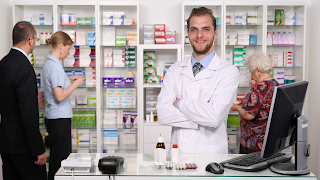 The draft rules on “sale of drugs by e-pharmacy” state that no person will distribute or sell, stock, exhibit or offer for sale of drugs through e-pharmacy portal unless registered.